March: Off the Machines has ended, No Mountain May is not there yet, and we just held our first Kaleidoscope event in almost five years. Time, how it flies, eh? I think Kaleidoscope can be a fun format, but it needs some trimming, strictly based on excessive efficiency leading to ubiquity. 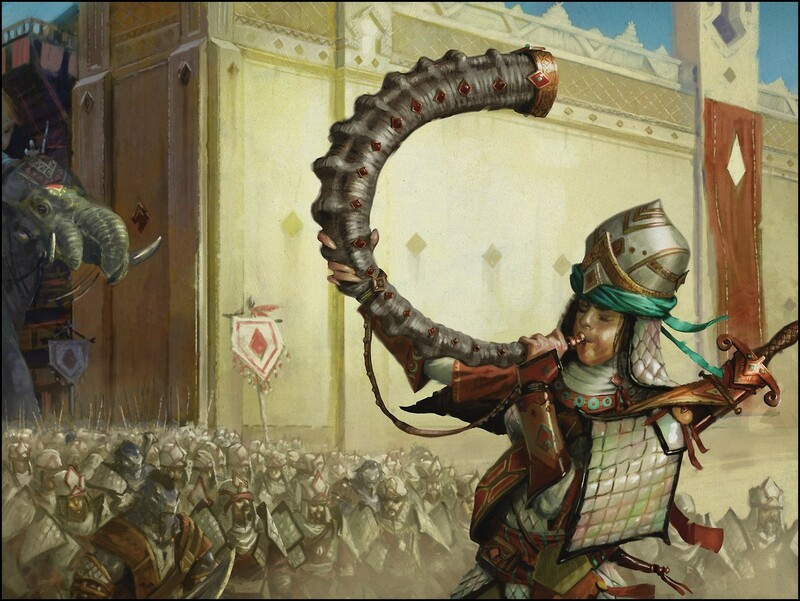 We were having a Knights Über Alles issue back when we stopped playing the format in 2014 – we stopped in part because of that – and it's not gone away in the meantime. 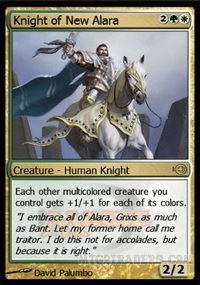 Knight is the best tribe by far and features some overpowered members in the meta, especially Knight of New Alara , whose boost is insanely hard to face. 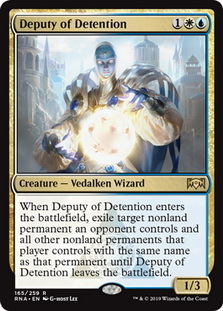 Also, Kaleidoscope is a format where the fastest removal is Selesnya Charm , and otherwise you go up to three mana, with most legal removal cards (if not all of them) unable to deal with Stillmoon Cavalier . I'd say we should play it again in one of the next special event spots, but only after fixing it. One radical way to do that would be playing it as Underdog, thus eliminating the most obvious choices and reopening the field to experimentation again. 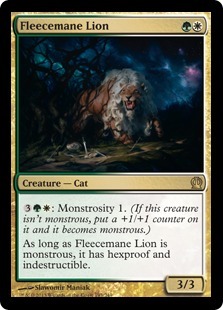 But some ubiquitous creatures like Fleecemane Lion should at the very least be restricted to their tribes. And that's four in a row wins, seven in eight week for Bandit Keith, of course piloting Knights. Did everybody else drop the ball at this point? Should we stop recording points for the rest of the season? 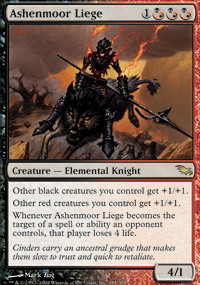 Same difference: the second Knight list by lowman02 ran an interesting Glare of Subdual , no blue splash for Deputy of Detention , but still an off-tribe Fleecemane Lion. 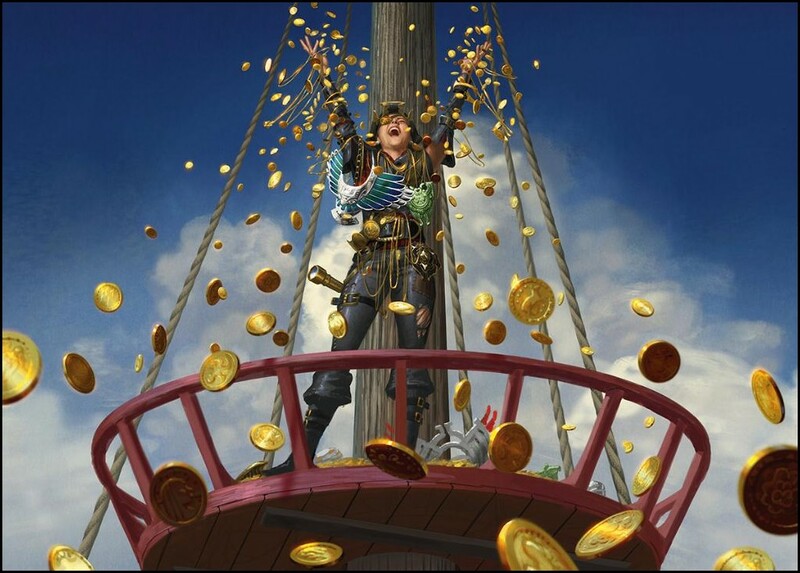 I have no idea what the name of the deck alludes to, though. 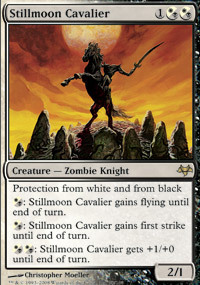 Congratulations to ThyShuffler for almost managing to beat Keith (and the Knights) with his Vampires. Almost. 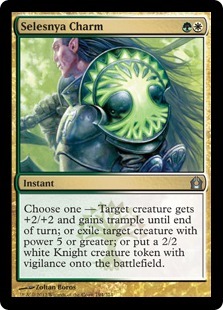 Another strong tribe in the meta is Warrior, especially after the printing of the Azras in Battlebond. -DiamondDust- made good use of them, backed up by Ashenmoor Liege (which is, surprise surprise, a Knight) and Judith, the Scourge Diva . And I was piloting the only Underdog of the week, Dryad. It has good potential in Kaleidoscope, even if it's missing the powerful (Bramble Sovereign). 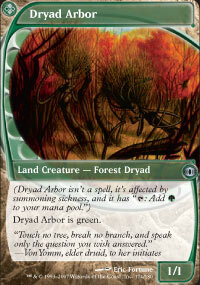 By the way, Dryad Arbor is legal because the Kaleidoscope construction rule only affects nonland cards.